The before-and-after trope in photography has long paired images to represent change: whether affirmatively, as in the results of makeovers, social reforms or medical interventions, or negatively, in the destruction of the environment by the impacts of war or natural disasters. 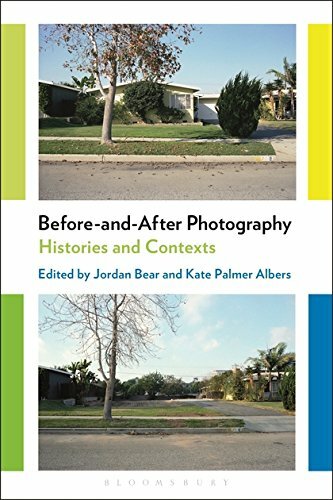 This interdisciplinary, multi-authored volume examines the central but almost unspoken position of before-and-after photography found in a wide range of contexts from the 19th century through to the present. Packed with case studies that explore the conceptual implications of these images, the book's rich language of evidence, documentation and persuasion present both historical material and the work of practicing photographers who have deployed – and challenged – the conventions of the before-and-after pairing. Touching on issues including sexuality, race, environmental change and criminality, Before-and-After Photography examines major topics of current debate in the critique of photography in an accessible way to allow students and scholars to explore the rich conceptual issues around photography's relationship with time and imagination. View More In Criticism & Essays.